The workers are demanding to restore the old pension schemes. Staffers alleged that they have been misled by the government officials for the last two months. Around 40 lakh government workers in Uttar Pradesh will go on strike from February 6, said Harikishor Tiwari, convenor of the old pension restoration forum. The strike, which is being held ahead of the Lok Sabha polls, is supported by many worker organisations, Mr Tiwari added. The workers are demanding to restore the old pension schemes. Staffers alleged that they have been misled by the government officials from the last two months. On December 12, scores of Karnataka government employees took to streets in Belgaum city to protest against the New Pension Scheme and demanded that it should be scrapped. Thousands of agitating employees also pressed for the earliest renewal of the Old Pension Scheme (OPS). 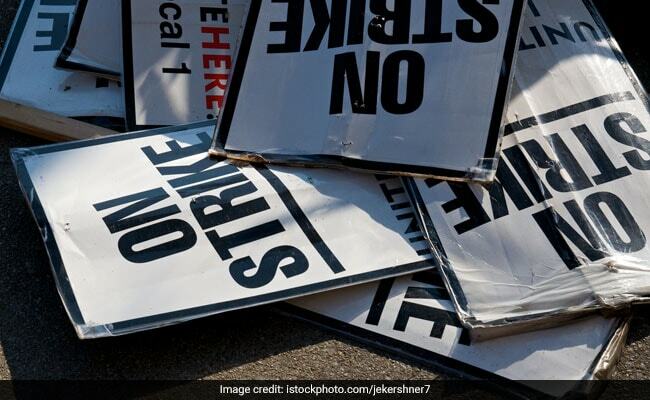 Two weeks after this, around 10 lakh employees of nine public sector banks went on a nationwide strike against the merger of Dena Bank and Vijaya Bank with Bank of Baroda. They sought their salary revision. The wage revision of the bank employees has been due since November 1, 2017. The bank unions had submitted their charter of demands on which the Indian Bank Association (IBA) called several rounds of meetings. Although the IBA has offered 8 per cent wage hike, the UFBU has termed it as "unacceptable".